SameSun Vancouver is in an excellent location in central Vancouver, very near the Skytrain and less than 15 minutes' walk from BC Place Stadium, charming Granville Island and lively Gastown. It's also surrounded by the city's best clubs, shopping and restaurants. 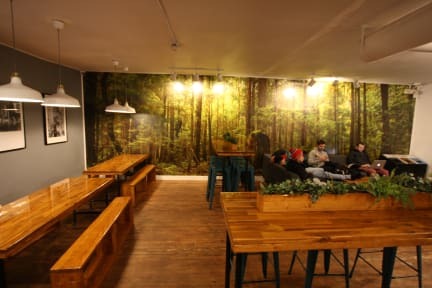 Hostelworld guests have said 'the colours and atmosphere and area are what make this place above and beyond the norm' at this 'fun and fabulous' hostel. Muito bem localizado, tudo muito organizado e limpo! Funcionários bem educados e prestativos. Muito bom custo x benefício. Super recomendo! I loved everything there, and for sure, I'll go back"